with an opening speech by Marilyn Douala Manga Bell, doual’art and the book presentation of Public Art in Africa. Art et transformations urbaines à Douala /// Art and Urban Transformations in Douala (Metis Presses, 2017) by its editor, Iolanda Pensa. M AKING DOUALA 2007-2017 explores the relationship between artistic production and urban transformation in Africa. It does so through the remarkable experience of SUD – Salon Urbain de Douala, an international triennial festival dedicated to public art that was inaugurated in 2007 in Douala, Cameroon, and that has brought a conspicuous number of Cameroonian and international artists to engage with communities of various neighborhoods and the public spaces these relate to in the city. MAKING DOUALA 2007-2017 presents projects and events that have been realized for SUD in 2007, 2010 and 2013 as well as proposals collected for the forthcoming SUD 2017 edition, entitled “The Human Dimension” and planned to take place in December from the 5th to the 10th. 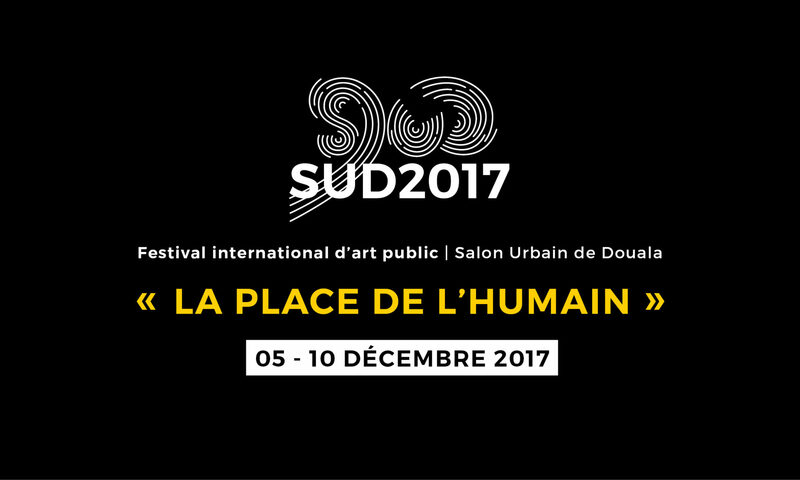 SUD as a festival stems from the longtime commitment of doual’art, a non profit cultural organization and art center founded in Douala in 1991 by Didier Schaub and Marilyn Douala Bell, that is dedicated to new urban practices in African cities and to promoting public art. Projects realised for SUD pursue various objectives, including addressing the issue of collective cultural identity by re-installing historical awareness, undertaking infrastructural public interventions or providing inventive solutions to concrete problems, creating identity to areas, locations or places, and improving the public space through public events and shared experiences. SUD is carried out by doual’art in collaboration with ICU art projects, an international artistic project organization based in the Netherlands, & Lucas Grandin.